A text read all the questions of electric machinery, from principle, classification to application. Motor is a device that converts electric energy into mechanical energy. It uses the electrified coil (that is, the stator winding) to generate the rotating magnetic field and act on the squirrel cage closed aluminum frame to form the magnetoelectric rotating torque. The motor is divided into DC motor and AC motor according to the difference of power supply. Most of the motors in the power system are AC motors, which can be synchronous motor or asynchronous motor (the speed of the magnetic field of the motor is not at the same speed with the rotating speed of the rotor). The motor is mainly composed of stator and rotor. The direction of the force acting on the conducting wire in the magnetic field is related to the direction of the current and the direction of the magnetic induction line (magnetic field direction). The working principle of the motor is the effect of magnetic field on the force of the current, so that the motor rotates. The structure of three-phase asynchronous motor is composed of stator, rotor and other accessories. Function: a part of the magnetic circuit of the motor and a stator winding is placed on it. Structure: the stator core is usually made of silicon steel sheet with insulating layer on 0.35 to 0.5 millimeter thick surface, and the inner circle of the core is evenly distributed in the inner circle of the core, so that the stator winding is embedded. Half closed slot: motor efficiency and power factor are high, but winding winding and insulation are difficult. It is generally used in small low voltage motor. Semi open slot: it can be embedded into the winding, usually used for large and medium-sized low-voltage motors. The so-called winding, that is, windings, can be insulated before being put into the tank. The open slot is used for embedding the forming winding, and the insulation method is convenient. It is mainly used in high voltage motors. Function: it is the circuit part of the electric motor, and enters the three-phase alternating current to generate the rotating magnetic field. Structure: three structures are connected in the same windings, which are separated by 120 degrees in space and are arranged by the team. The coils of these windings are embedded in the stator slots according to certain rules. There are three main insulation projects for stator windings: (ensuring reliable insulation between the conductive parts of the winding and the core and reliable insulation between the winding itself). (1) ground insulation: the insulation between the stator winding and the stator core. (2) interphase insulation: insulation between the stator windings of all phases. (3) inter turn insulation: insulation between each turn of each stator winding. There is a wiring board in the motor junction box, the six line heads of the three-phase winding are arranged up and down two rows, and the number of three connecting piles from left to right is numbered 1 (U1), 2 (V1), 3 (W1), and the number of three wiring piles from left to right is numbered 6 (W2), 4 (U2), 5 (V2), and the three phase winding is connected to a star connection or triangle. Take it. All manufacturing and maintenance shall be arranged according to this serial number. The function is to fix the stator core and the front and rear cover to support the rotor, and play the role of protection, heat dissipation and so on. Structure: the machine seat is usually cast iron, the large asynchronous motor base is usually welded by steel plate, and the base of the micro motor is cast aluminum parts. There is a heat sink outside the seat of the closed motor to increase the heat dissipation area. The end of the protective motor's seat is covered with a ventilation hole, so that the air inside and outside the motor can be convective directly to help heat the heat. The function is as a part of the magnetic circuit of the motor and the placement of rotor windings in the core slot. Structure: the material used as the stator is made up of 0.5 millimeter thick silicon steel sheet, and the silicon steel sheet has a uniformly distributed hole in the outer circle of the silicon steel sheet, which is used to place the rotor winding. Usually the stator core is used to rush behind the inner silicon wafer to punch the rotor core. The rotor core of a small asynchronous motor is directly mounted on the rotating shaft, and the rotor core of large and medium asynchronous motor (the diameter of the rotor is above 300~400 mm) is pressed on the rotating shaft with the support of the rotor. 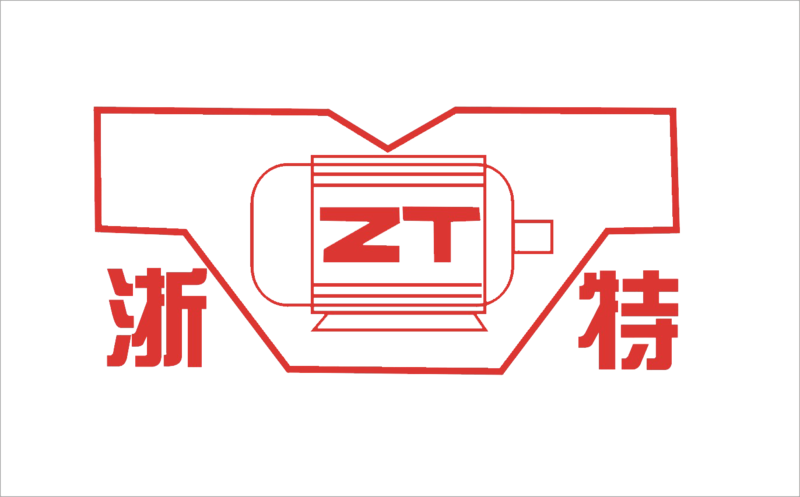 Function: cutting the stator rotating magnetic field to generate induction electromotive force and current, and form electromagnetic torque to make the motor rotate. Structure: it is divided into squirrel cage rotor and coiling rotor. (1) squirrel cage rotor: the rotor winding is composed of many guide bars inserted into the rotor slot and two loop ends. If the rotor core is removed, the whole winding shape is like a squirrel cage, so it is called cage winding. The small cage motor is made of cast aluminum rotor windings, which is made of copper strip and copper end ring for motors above 100KW. (2) the winding rotor: the winding rotor winding is similar to the stator winding. It is also a symmetrical three phase winding. It is usually connected to a star, and the three outlines are connected to the three collector rings of the rotating shaft, and then the electric brush is connected with the external circuit. Characteristics: the structure is more complex, so the application of wound rotor motor is not so wide as that of squirrel cage motor. In order to improve the starting and braking performance and speed regulating performance of the asynchronous motor, the equipment such as the crane, elevator, air compressor and so on is used in a certain range. 2, bearing: connecting the rotating part and the immovable part. 3, bearing end cover: protect the bearing. The DC motor adopts the octagonal full stack structure, which is not only high in space utilization, but also can withstand fluctuating current and fast load current when it is powered by a static rectifier. DC motors usually have no series winding, and are suitable for automatic control with positive or reverse.